Icom IC-M324G is a compact VHF radio with top notch performance and all the necessary features included in its body. This VHF radio comes after the M200 (entry level model) in the ICOM VHF radio line up and features some nice upgrades. Read about our top three fixed mount VHF radios. The difference between the two models is around $50, but having a GPS function in a VHF radio is a huge plus, therefore we suggest you get the M324G - with the GPS. This fixed mount radio also comes in two color options: Black version and Super White version. So what do you get with this radio and why we think this is a good value? Icom M324 has a large high definition Dot-Matrix display that is easy to read. Reading crucial information is fast and easy. Your distress call button, instant channel 16, volume and menu are clearly marked. Yes, you could add an external GPS to some VHF radios, but if you get the M324G - it is already built in! It simplifies operation (like automatic timezone detection), adds important safety features to your radio and there is no need to connect external GPS equipment. The ICOM M324G comes with a dedicated distress call button. Press and hold for 3 seconds and your distress call will be transmitted (including current GPS position). If you did not get the 324G model, enter your GPS location manually. Built in class D DSC has the ability to monitor channel 70 (DSC channel) even when you are making another call. 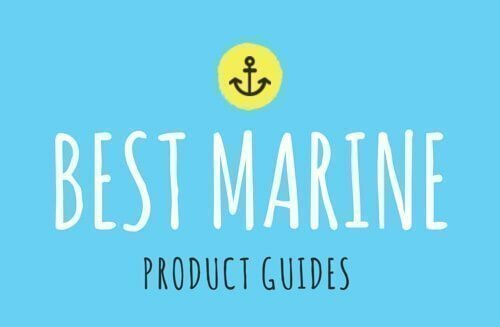 NMEA 0183 isn't the latest NMEA standard (NMEA 2000) but it does add ability to connect NMEA compatible devices. 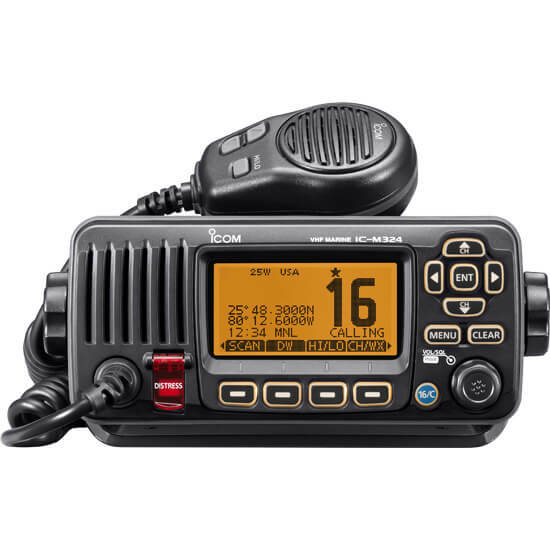 If you need NMEA 2000 connectivity - you will have to step up to ICOM M506 radio.